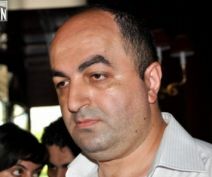 TBILISI, DFWatch–Georgia’s ombudsman Ucha Nanuashvili Thursday announced a separate inquest into the Lapankuri border skirmish in August 2012, which claimed the lives of fourteen people. Nanuashvili told Interpressnews a new inquest is necessary because more than a year has passed and the official investigation hasn’t produced any results. The ombudsman in March said there were discrepancies in the official version of events and called for an independent investigation. Interviews with sources led the ombudsman to conclude that the Saakashvili regime had brought in up to 120 rebel fighters from Europe, set them up with apartments in Tbilisi, given them guns and training at two military bases near the capital, and promised them safe passage into Chechnya upon completion of training. Shooting started as disagreement developed between the rebel fighters, who demanded to be allowed to cross the border into Dagestan, and their Georgian handlers who refused. The new inquest by the Public Defender will be conducted by a committee which also will include people working on the situation of the Kist community, the ombudsman said, during a meeting with the family of one of the dead rebels in Duisi, Pankisi Gorge. He also met the Council of Elders, to discuss the composition of the new investigative committee. “The questions about the special [police] operation are unanswered, the truth is unknown. It is important, both for society and for the families of the dead, that the truth is revealed once and for all,” the ombudsman said.